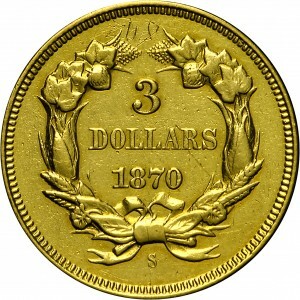 This is the famous unique 1870-S three-dollar gold piece. Two reverse dies were shipped to San Francisco late in December 1869, apparently neither with mintmarks. 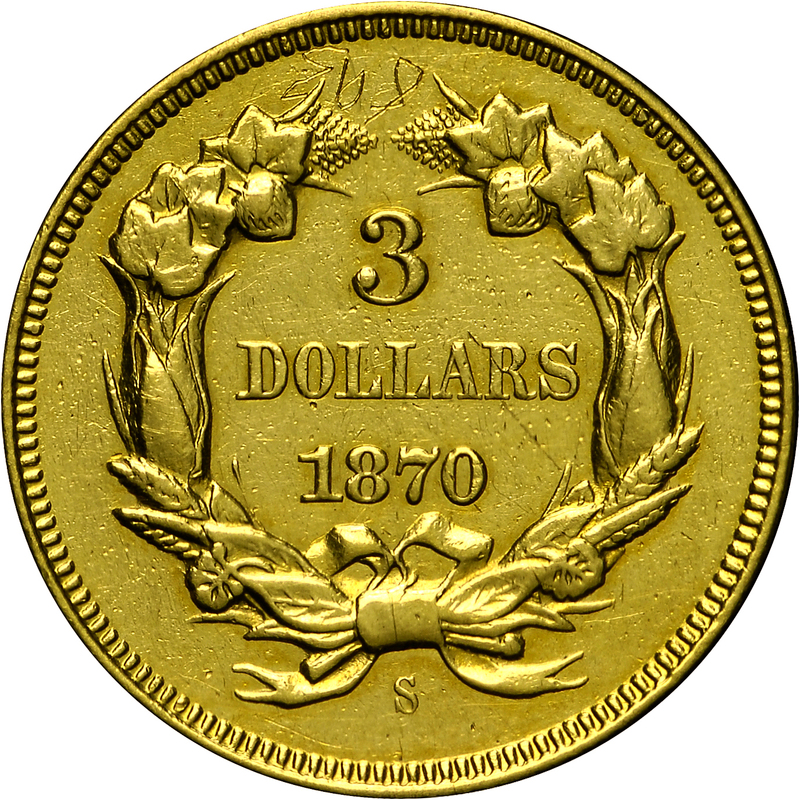 The San Francisco Mint superintendent requested instructions regarding these dies, and silver dollar dies also lacking mintmarks. One three-dollar die had an “S” mintmark entered by hand and evidently two coins were struck, one for the cornerstone of the new Mint building. 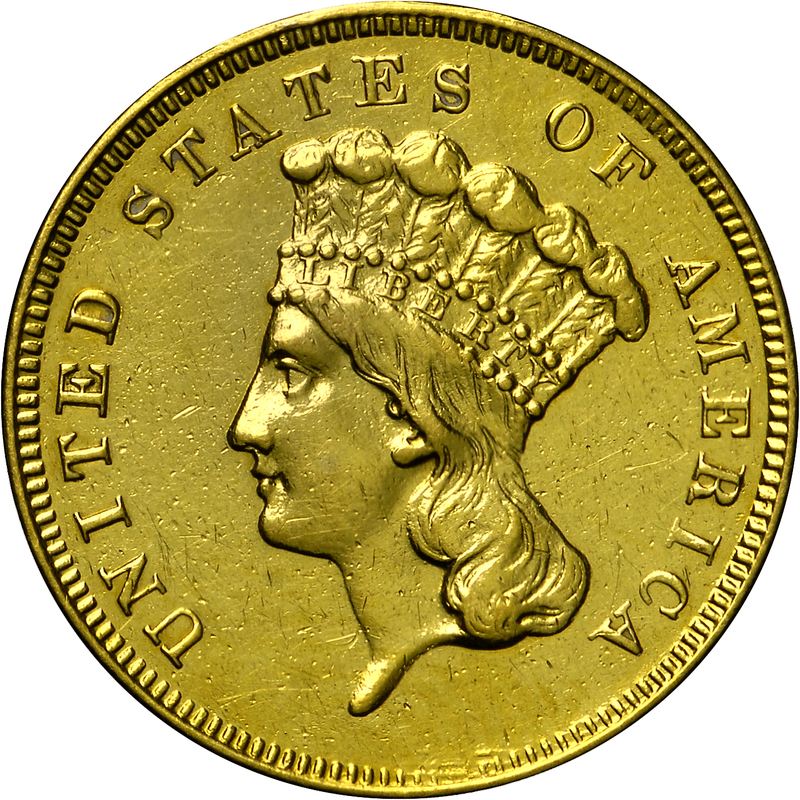 The other coin was sold by Thomas Elder as part of the William Woodin Collection and eventually acquired by Louis Eliasberg, Sr. before acquisition by Harry Bass. The Bass specimen is the only one that has ever surfaced. From Bowers and Ruddy's sale of the Louis E. Eliasberg Collection, October 1982, Lot 296. Earlier owned by a series of numismatists (detailed above), sequencing back to J.B. Harmstead of the San Francisco Mint.